Stoxmarket is a fast-growing broker focused on simplicity and dedication to meeting the needs of traders. 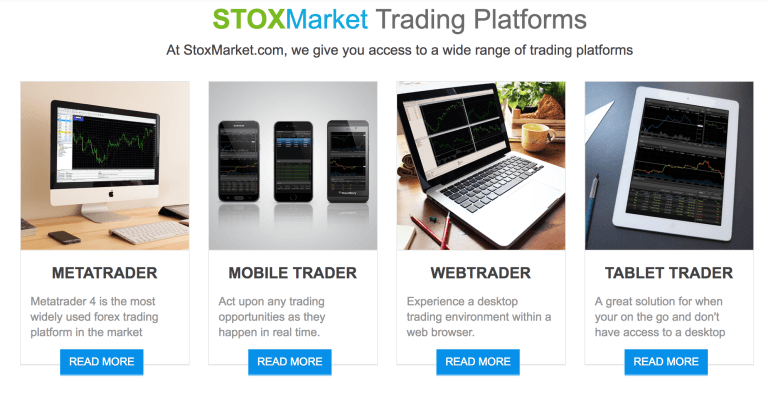 Stoxmarket is a multi-platform broker in the financial markets. In addition to binary options trading, it also offers traders the opportunity to make good returns in other markets, such as forex. In this review of Stoxmarket, we’ll assess its dealings relating to binary options trading, especially whether it offers anything new to traders. Stoxmarket is the trading name of a company called Marketier Holdings Limited, which is registered in the Commonwealth of Dominica. The broker’s payment services are handled separately by two companies: Profitier Limited, headquartered in London, England, and OCapital LP, headquartered in Edinburgh, Scotland. Apart from the transparent dealings of Stoxmarket, many traders have also been happy with the broker’s offerings. We searched various online trading forums and websites and failed to find any significant disapproval rating. Therefore, we can confirm that Stoxmarket is not a scam broker. Furthermore, during our review of Stoxmarket, we found out it does not accept U.S. traders, something the broker clearly admits, which further affirms its transparent nature. One of the most outstanding characteristics of this binary options broker is offering a wide range of trading platforms. This way, you can choose the one that best suits your needs and preferences. Metatrader 4: This is the most popular platform among forex traders. Mobile trader: With this innovative platform, you can trade on the go, in real time—whether on an Android or iOS device. 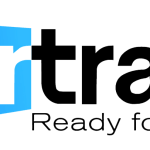 Webtrader: This platform does not require downloading, proving easy access from different locations and devices. Tablet trader: In case you don’t have access to a desktop computer, this amazing platform could save your day. Stoxmarket offers an extensive range of over 200 assets for binary options traders—consisting of currencies, commodities, indices, and stocks. Therefore, you cannot fail to find an asset that resonates well with your trading style and preferences. In terms of payouts, Stoxmarket provides up to 84% returns on successful trades. Opening a new account with Stoxmarket is straightforward and simple—after completing the form on the broker’s website and submitting the necessary identification documents, your account will be up and running. And, when you want to make your first deposit, you’ll have a wide range of convenient payment methods, including wire transfer, the major credit cards, and electronic payments. The broker also provides bonuses to traders, which is determined on a case-by-case basis. The withdrawal process is fast and easy — you just need to initiate a request and your funds will be sent via your primary payment method. Importantly, Stoxmarket is committed to ensuring clients deposit funds in a fortified and secure environment. As such, the broker has employed the latest technology, along with other stringent measures, to guarantee security of funds and integrity of its trading environment. Silver: Requires a minimum deposit of $1,000 to $4,999. Gold: Requires a minimum deposit of $5,000 to $19,999. VIP: Requires a minimum deposit of $20,000. Stoxmarket prides in offering one-on-one customer support to ensure traders make good returns from binary options trading. It offers 24/7 customer support through email, live chat, and phone. The broker’s site is in three main languages, English, Arabic, and Russian, and this enables you to choose a language most suitable for your needs. It is committed to ensuring traders make educated trade decisions. It has a comprehensive education center equipped with plenty of resources for sharpening traders’ skills—including video tutorials, eBooks, economic calendar, and guided trading sessions. After reviewing Stoxmarket broker, we can confidently affirm the broker offers something new to binary options traders, especially appertaining to its focus on simplicity, one-on-one tailored trading services, and offering secure trading environment. Since its inception, the broker’s innovative and reliable offerings have been attractive to traders. Therefore, if you want a broker that is credible, loaded with excellent features, and committed to traders’ needs, then Stoxmarket should be your choice. They are actually are very big scam in binary options history. If you are viewing this, you must have most likely been scammed of a lot of money by Eaton Capital. 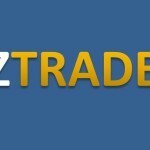 I was only able to make a few withdrawals from my trading invstment with this company. Only for me to know that the company were not answering my calls or replying my emails. I have been wondering how to go about getting back my lost funds but my efforts has rather been vain. I came in contact with Alex from Premium recovery Inc [ quickrecovery91 (at) gmail (dot) com ], he and his team extracted my funds in fractions and made my recoup happen in a less than 72hours. If you have been through the same situation and know you got scammed as well contact them. I invested thousands of USD in a project, which turned out to be a scam. Fortunately, I got in contact with easybitcoinrecovery(at)gmail(. )com who was able to practically save my life by helping me recover all lost funds. 100% legit, contact them for similar services. Traded with HQbroker and After I invested a total of 150,000 GBP; The whole thing took a wrong turn right in my presence. I had cold foots immediately they tried to pull a fast one and put a bag over my eyes claiming that my investments had been lost on bad trades. Lucky for me and unluckily for them, earlier in the week i saw an interview on TV about how a woman who had been scammed four different times by binary options and was only happy to share her story because she had got it back through .......[www]recoverycircle(DOT)EU|....., so i looked them up and reported to them. They got it all back in a week along with profits and damages. I would advise all to contact Geminihacks -.- com they helped me recover my invested money I had with 24option and Banc de Binary last week. 150k and 265k respectively for both companies I cant help but post their services online. They also helped my neighbour with the same issue we got into together. This binary option scam issue is really turning to wide spread disease, I advise to contact Geminihacks -.- com if you have fallen into the same binary option scheme by these brokers. So far they have recovered all the money from both my 24option and Banc de Binary accounts, contact them now to do the same. Don't partake in such financial investments. I would advice you run at the hearing of the name HQbroker. I clearly got a second chance to learn from my mistake and make things right. On a good day like this, some months ago I clicked on an "Ad" while surfing the web about Binary Options deal which offered great returns. Decided to check it out by registering a demo account under an assigned account manager to learn how to carry out the trades. I had so much bonuses/profits with my demo account and that gave me the courage to get started. I was told by my account manager at HQbroker to get Started with $250, I listened and did as instructed and my returns were great. I decided to upgrade as the options at the higher levels were more lucrative. I invested more and more till it got to a total sum of $100,000. With these I was able to trade a few more times, I made much more bonuses than before then decided to Immediately I requested for a withdrawal I got excuses upon excuses asking me to invest more. They told me that I had to make a one off payment to cover charges and taxes etc, so I sent $60,150cent for that, also they deposited 150,000 into my metatrade account and asked to match it, then I was told that someone has issued a fraudulent Cheque putting their account over $ 800k in the red. The assured me that the situation would be resolved which took forever The solution was a bank which they started working with, and the money would be deposited there which I could withdraw at a small fee. I checked the “bank” out and it was a complete joke. The domain had only recently been registered, and funnily enough, to the same people who registered the “HQBroker” site. I conducted my own investigation and called the Domain registration company twice, and the responsible person never ever got back to me. I assume that someone internal is working with the scammers.I wrote it off as one of “life’s” expediencies but hoped I would come across a solution somewhere on how i can get all my funds back and then came across;|RECOVERYCIRCLE. EU,|, I got in touch with their recovery section and I'm more than happy to share my experience with everyone on how they got my money back swiftly just as it was said in other online reviews i got to hear about them…I worked for over 20 years for that money they took and it was gone in a matter of months. My fault I know, but parasites like these people don’t deserve a place on this earth.Clearly, Got a second chance to learn from this. You do not have to wait till your broker stops responding before you start taking steps to recover your losses. The moment you start noticing anything strange, you should report your case so it can be handled qucikly and successfully. I also didn't know I was being fleeced until it was too late but I reported my case on priorityrecovery,org and they were able to track down the funds and help me to recovery all of my investment. Report your case against your binary option broker on priorityrecovery,org so you can get restitution successfully. I invested a massive chunk of my capital and savings into the care of an unregulated broker who convinced me into investing ,he said pulling out of the investment is easy and I could make withdrawals , until I found out it was just a plan to make sure i kept on investing , I asked for my withdrawals and they stopped replying me for a while ,only then I knew I was being fooled all along . They are another scam because any legit company would easily pay out money the same way they easily received it, i invested over $98,000, I called then several time and also sent emails but all to no avail. I was referred to the above( Britz.alex(AT)solution4u DOT COM ). who had recovered about 89% of my lost funds to me. I couldn’t believe at first that this was possible because i lost hopes in contacting anyone on the internet, but i guess not everybody is bad after all. I am a strong believer in the scriptures and i know my God is fighting for me already. Hello readers, if you have lost money to online scam or binary scam brokers, i recommend you visit cyberinvestigators.tech and contact them. They are the investigators that helped me recover back about 80% of the money i lost to scam brokers. They helped me recover $60000 back. If you have lost your money and need hope to get it back, i advice you contact them. Thanks me later. their contact details is as below CONTACT : Email: “support@cyberinvestigators.tech” Website: “cyberinvestigators.tech” Phone no: “+19163450077”. Sharing my experience with fake brokers , Rescuedial(DOT)com genuineness is the real deal especially when I most needed it . I was a victim of false brokers scam working with Speartrader, this brokers insisted I won't be carrying out the trading myself, instructed to leave it to the professionals so they can make al lot of money for me, Total BS! they make winning trades with the loosing trades to make my account looked legit all the time and encouraging me to add funds to take advantage of a speculative fore casted big winner then they leave you to your trades to wonder what the hell to do because of lack of experience which will only lead to you seeing your account run out. Reading so many stories here from victims can't make me stop thanking God. still a miracle how Rescuedial got this done successfully. One wouldn't really think much of this, all i really wanted to do was invest and be part of it but the way i was lied to by this brokers was terrible, to easily take money from me all in the name of investment and when I wanted to make withdrawals every single attempt was fruitless with constant hassle to invest more. I wish i could go into more details about what i faced with these brokers without being marked down. I would also consider myself to be one of the very few lucky ones as i was able to have my funds recovered from this scam investment although it was through unethical means as far I am concerned but you should not expect me to care after so much funds were taken from me. Just like a God sent, These guys got all my funds back within two weeks including bonuses, If your broker lost your funds trading with these fake broker www. rescuedial .com are more than able to get your funds back without any trace. 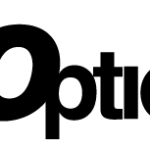 Are you a victim of Binary Option Scam Are you a victim of Binary Option Scam? Hope is not just lost as you can recover all that money lost to this scam brokers. 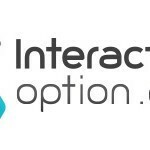 I lost $390k to a scam broker in IQ Option. After searching for a recovery expert, I stumbled upon Miguel Aruso. He assisted me in recovering all my funds lost to IQ Option. I strongly recommend anyone going through a similar experience to contact www. rescuedial.com for a recovery remedy . Thank me Later. Hello everyone, is there anyone out here looking for the perfect strategy to trade with? or tired of loosing your money to brokers and software? email me at: benjaminjose292@gmail.com as i introduce to you the perfect strategy that provides me with $10000 in a week, and show you some prove to clear your doubts. And also how you can get back your lost funds from your brokers. I agree with this article as i have being a victim of these fake brokers. I invested about $590K MAGNUM option and all could do in my first withdrawal was $59k. Then my money started going down the drain till i was left with only the bonus they said i couldn't withdraw until i fund my account again. The trend continued and i lost everything.Not one dollar was left. I always died knowing i was scammed. I was very determined to get my money back so i had to hire a wealth recovery expert from premiumrecoveryinc. com who recovered 80% of my money including my bonuses to me. The moral of this story is for everyone to be very vigilant about the kind of broker you invest with and if you have lost some money don't give up the quest to get your money back. it was everything gone wrong for me, i fell fully for their lies, had my broker handle my account for me which made things get worse but i was out there working almost all hours of the day to make sure i stay stable financially in life and all of a sudden +booom . i need cash and they are wasting my time to approve my withdrawal request. At this point i am beginning to get scared and after a while they stopped responding to my emails which became worse, i was going nuts until i was able to come across a company binaryoptionassetrecovery(+.com(. they were so helpful and we got back almost all of mu money back. im never going down that binaryoption or forex investment road again. All my life I worked hard and never stopped, the aim at the end was to retire and rest during my old age. A family friend of mine introduced me to a couple of Binary Platforms. I was so glad thinking that this way I could at least have my money work for me, the broker sounded so nice and helpful , on the other hand I was so gullible and kept investing more and more before I would know it my investment would total £610,000 and then on my trading platform could visibly see that I had made an extreme profit of almost £490,000 it was a thing of joy soon turned out to be my worst nightmare as I couldn’t withdraw any part of this funds. I tried to speak to the broker who helped me but at this point he was nowhere to be found, even tried the police but was told they could be of no help, even tried to get a lawyer but was told my chances were slim to none of recovering my funds back it was the worst time of my life mostly in my old age. sorry to bore you with my experience but I came across HACKETHICS008@GMAIL.COM and he said he can be able to help me recover all of my funds back , was so skeptical having experienced the heartlessness of mankind but I decided to give it a try. But I'm so much happy Hack Ethics got every penny of my funds plus profits made back from those Scam Binary Platforms. If you’re out there and have lost money to any scam binary options investment brokers do contact HACKETHICS008@GMAIL.COM. Trust me, he will help you get every penny of your money back. Good luck and thanks for letting me share my experience. CONTACT HIM FOR ANY DESIRED HACKING SERVICES YOU WANT/NEED. Stoxmarket has to be the worst in the world, how they would con me to invest and deny my withdrawal was so surprising, there greedy actions almost left me terminally ill its terrible. I almost lost 190,000GBP to them, luckily for me after countless request for withdrawal I got in touch with this recovery company, Binaryoptionrecoveryspecialist.com they helped me get my funds back so happy to share this you can thank me later.. SO about a year ago, i got a pop-up on my computer which i read and i registered with CMB. I got numerous calls to convince me to invest. Eventually i invested $457, 000 which was a huge amount in about 6 accounts in total as advised by the broker. I got numerous bonuses running into about $200, 000 which made me excited. However i tried to withdraw my money and was unable to do so. I called support and my broker after about 2 months of constant back and forth i was asked to bring more money before i could take my money out. I was disgusted because at this point, my broker started loosing the trades which i don't know if he did it intentionally but i was so uncomfortable with not withdrawing from the system. He later told me that i will have to add more funds again. At the point i suspected i was being scammed and told him, that was when i stopped hearing from him and their numbers never went through, they stopped replying my emails as well, I reported to the police and my back but there was nothing they could do about it. I had to hire ther service of a wealth recovery expert (adler.frank50 @ gmail. com). He was able to recover 80% of my money which i was fine with.. Never will i do business with CMB again in my life. It is not advisable to just embrace every trade opportunity because of scam,trust me. It is always good to trade with broker using a transparent pricing, fast and reliable trade executions.. I have been scammed in forex and binary options before I got to know and actually recovered my funds back with the help of viapreferred @ gmail.com hacker group and still went ahead to trade with them using their forex and binary options group an it has been lucrative ever since. They are advanced trading platform designed for active traders because of their clear, reliable pricing and superior trade execution.They have shown to be market leader with a proven record of strength and stability. Gains will vary based on market conditions, including volatility, available liquidity, and other factors. I invested 90% of my retirement payment on binary options with the mindset of getting it multiplied and enjoying a better retirement life. I appreciate Hack Ethics for helping me recover my stolen funds £750,000 from Binary Brokers and Fake Hackers within 48 hours. Contact him or Skype for any desired Hacking Services.It was like a miracle when he helped me recover my £750,000 within 48 hours and now I feel free like a bird. It was sweet and smooth from the start, withdrawals were easy and consistent until it gets to a point I started to be denied withdrawals and that was how I lost all money, I couldn't get my investment amount back not talk of the bonuses. I contacted several lawyers but it was all waste of time and money, they couldn't render an inch of help. God so good to my old self and family, I later met with a certified binary options recovery expert that helped me recover my money within 48 hours from the brokers, it was worth it to pay him 20%. You can contact the expert on ''HACKETHICS008@GMAIL.COM" if you have found yourself in same situation as me also he can render any other desired hacking services within 48 hours, I can assure he would be able to help you just as he helped me, you can give him a try if you don't mind. Binary options brokers shouldn't get away with this. Stay away from Stox market. They will only take your money. They scammed me of £45,000 and denied me access to withdrawal. When I made complaints about the situation they asked me to deposit more money and when I refused they locked me out of my account. I had to reach out to a recovery expert taylorbrennan@consultant.com to help me recover my money back. hank God I got all my money back"
I have been scammed again and again. 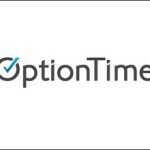 I invested with four different binary options brokers and lost all of my investments totalling about £60000. Then I was contacted by someone offering help – a company who specializes in binary recovery. I was scammed by them again. By the end of it all I had lost all of my savings and I was in serious debt. I was desperate for help and that made me vulnerable to recovery scams. My husband is not around anymore and I have an 11 year old son with a learning disabilty. The pressure of being a single mother with a child who needs so much attention and support became overwhelming for me. I also felt too traumatized to trust anyone else and I was very afraid, but I had no choice other than to try saxongroupinc.com They have been incredibly helpful and supportive and also very understanding about all of my fears and concerns. They helped recover all of my funds back in about 9 days. I'm tremendously joyous about the decision to use SGI. I really hope that others do not have to go through what I did, and I wish that I had realized before things had gone so bad. I hope my story might help others too, not to get fooled the way I was. Fortunately our foundation got money back with the Recovery Firm’s help. 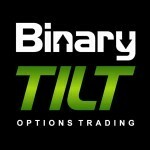 All binary options trading is a scam. If money lost is a lot of money to you like we lost £145,000 to IQoptions and £76,000 to Banc-de-binary and you feel you need to get it back. My advice is to seek professional legal aid immediately, so they can tell you what you can potentially do, contact the Recovery Firm on their complaints support team via firmrecovery@gmail.com and get your funds recovered. "I would advise all to contact —GeminiHacks (dot) (com) they helped me recover my invested money I had with 24option and Banc de Binary last week. 50k and 65k respectively for both companies I can’t help but post their services online. They also helped my neighbor with the same issue we got into together. This binary option scam issue is really turning to wide spread disease, I advise to contact Geminihacks (dot) (com) if you have fallen into the same binary option scheme by these brokers. So far they have recovered all the money from both my 24option and Banc de Binary accounts, contact them now to do the same "
Stoxmarket is a scam broker. stay away. Went through so much to get a refund. Once you have deposit you are more or less unable to withdraw any money. Been a client for 1.5 years, all the time they have been nagging for more deposition. I have lost a significant amount due to really bad advices, especially "we don't work with stop loss". After all losses I am still not able to withdraw what is left as I haven't reached the massive required volume for the bonus. My advice is to find a honest broker without any bonus system that require volume before you may withdraw the initial deposit. I consider Stoxmarket to be a scam and thiefs and recommend to avoid them.